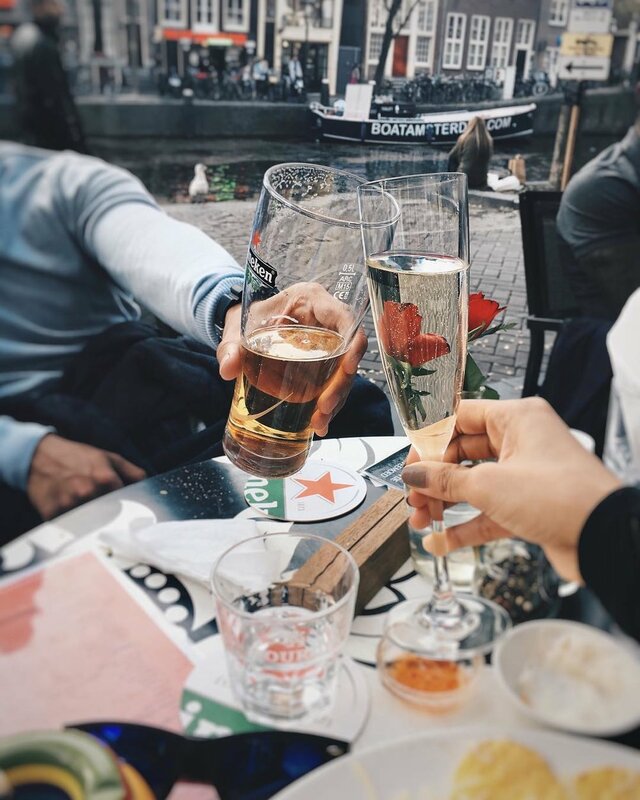 Someone once described Amsterdam as the place to be for those who abide by the rules but still want to let's say, indulge. Then again, when a country makes a name for itself by legalizing prostitution and marijuana, loads of heads are bound to turn and decisions to book a flight are done in a snap. In all honesty though, I feel like it’d be wrong to dismiss Amsterdam as merely that. It’s so much more than just a place for a “good time”. Admittedly, when we went to Amsterdam, I was actually more keen on seeing the places I had only read about in books. I first read Anne Frank’s diary in grade school. It was also the first time I knew of Amsterdam. Growing up, I thought of it as the place where Anne Frank hid in a secret annex with her parents for 2 years. I was fascinated with everything. 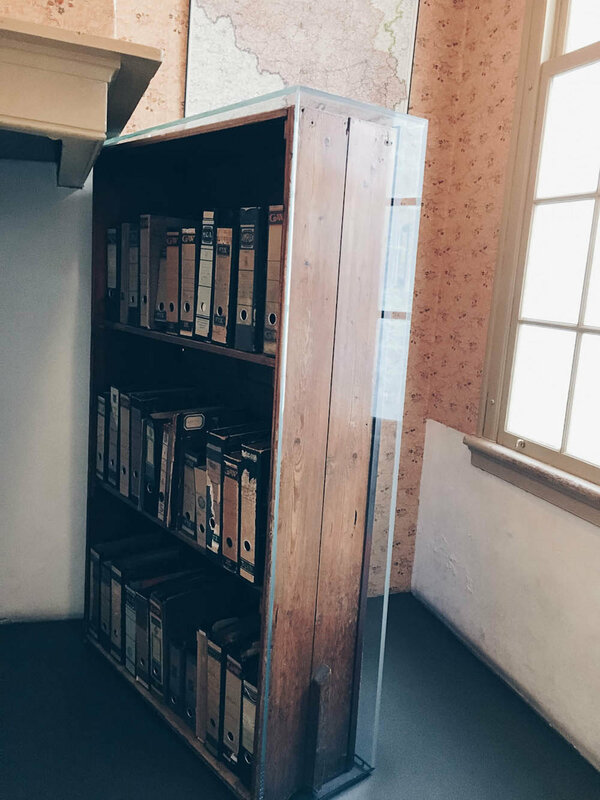 How a bookcase hid the entrance to their secret annex, how they had to control their footsteps and water usage for fear that someone would hear them through the walls. I was so determined to see the house in person that it was the first thing I booked once my Schengen Visa was approved. Yup, it went first over flights, accommodations, and etcetera. I had a ton of friends tell me beforehand to book tickets in advance since they tend to sell out fast, so what can I say, except #priorities. Tip: In my opinion, when it comes to tours and museums, it’s best to book the first slot of the day. The pace instantly feels more intimate, seeing as you and your group are the only ones there for the time being. It’s also much easier to take photos since the crowd is more manageable. Again, #priorities. Extra Tip: They have a cafe in the Secret Annex where you can get snacks and pastries. Look at that mint tea, you guys. It can't get any more natural than that. Amsterdam has more bicycles than people. Had I not experienced it (and almost gotten run over), I would’ve probably never believed it. But I’ve lived to tell the tale, so let this be a fair warning: Be careful when crossing the street. Those bikes can go pretty fast, especially when the cyclists are trying to cross the road before the light turns red. The Dutch seem to love their fish because they’ve been known to grab the herring by the tail and eat it as is. There is, of course, another way to get your serving of herring, and it’s to try it in a sandwich over at Stubbe’s Haring. The fish is lightly brined for better preservation and is usually served topped with pickles and onions. Tip: The taste of the onions and herring can be pretty strong so get a can of soda when you order. I feel like the canals in Amsterdam go on for ages. They span through different store lined sidewalks and alleys so it’s pretty easy to get lost in the midst of it all. Walk along the canals and you’ll often see full-length windows with prostitutes luring you in to be a client. Since prostitution is legalized in Amsterdam, it’s normal to see women dressed in skimpy outfits showcasing their assets in what look like shop windows. Just remember NOT to take a photo of the prostitutes. The police watch the alleys like a hawk and will go as far as throwing your precious camera into the canal if you take a photo and don’t delete it when they order you to. Tip: Each of the windows contains either a red or a blue light. Red lights indicate a woman prostitute, while blue lights show a transvestite. Dutch pancakes are what I’d call a cross between an American pancake and a crepe. My point being, it’s thinner than a regular pancake yet slightly thicker than a crepe. They’re made in a cast iron pan and can cover an entire plate. Choose from many savory and sweet options, but if you want to eat like a local opt for the cheese and bacon flavor. Vergs and I took a liking to people watching during our second Eurotrip. Somehow, we were captivated with how most Europeans seemed so lax. They'd go about their own pace and would take their time during lunch and dinner. Meals were almost never rushed too, with bottles of wine and Prosecco being shared the way bottles of soda are shared in the Philippines. Let’s be real here. 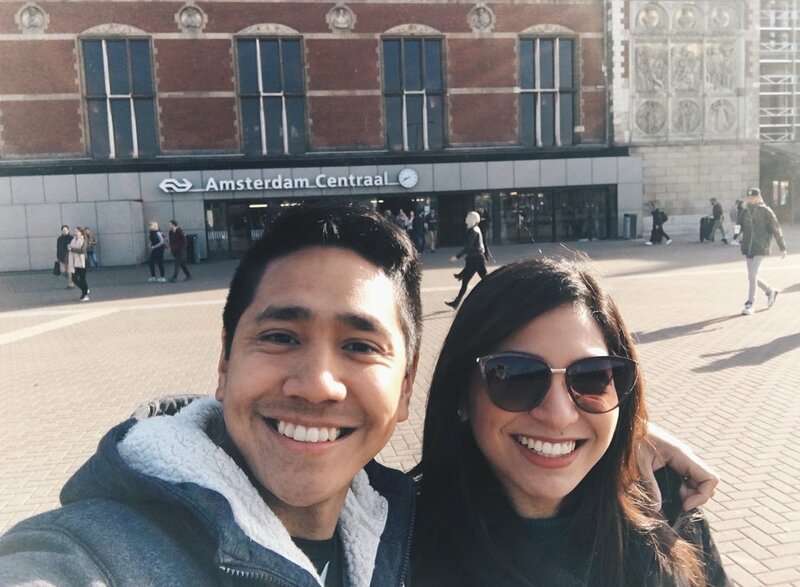 A trip to Amsterdam wouldn’t be complete without some of the things it’s famous for. Organic recreational drugs or “soft drugs” are sold over at coffee shops and some side stores. In case you’re confused, cafes sell coffee. Coffee shops sell coffee and marijuana. The Bulldog is one of the more popular places in town. It’s said to lay the benchmark for Amsterdam’s infamous coffee shops. 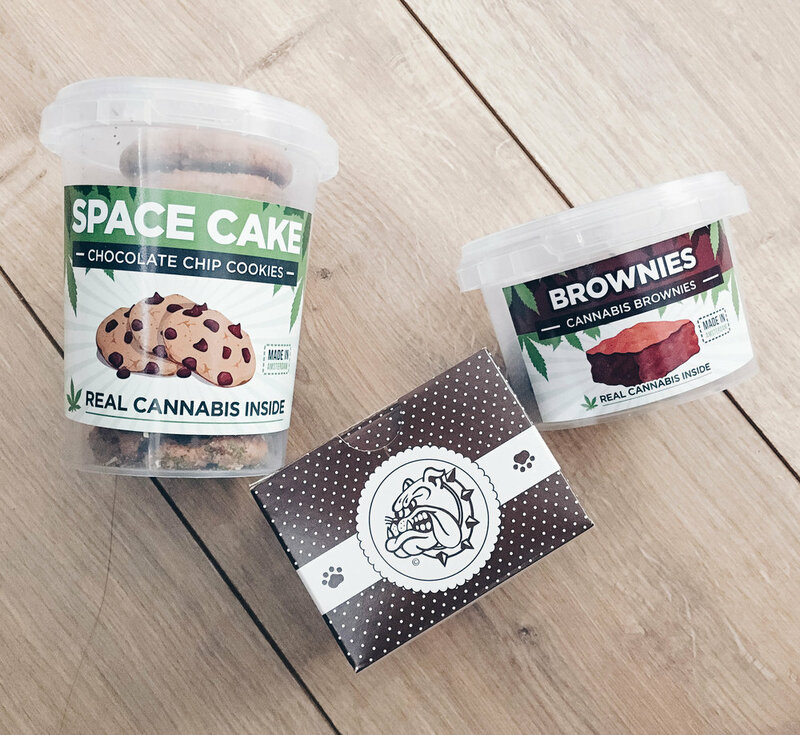 They sell weed in different intensities and mixes, and they also have desserts sprinkled with dried marijuana -- so you can finally live out that Eurotrip movie you once watched in college. Prefer to smoke up instead? The Bulldog has a stairway leading to the basement. The branch we went to had its stairway a bit hidden so it took a while trying to figure out what everyone meant when they were telling me to go downstairs. At one point, I thought they were deliriously high. Turns out, I was just blind. What’s new. Amsterdam also has a pretty wide selection of what many call “magic mushrooms”. The thing is, they’re not really dried mushrooms anymore. After one too many unfortunate incidents, a law was passed in 2009 declaring that “magic mushrooms” be included in the list of “hard drugs”. Now only “magic truffles” are legally sold in Amsterdam’s shops. They have a similar effect to 'shrooms, so it’s not that big a difference — at least, I think. One shop we went to was selling their magic truffles according to different intensity levels. They’re pretty self-explanatory really. The first level was laughs. The second level was colors, and the third was what they called psychedelic. Tip: Pick a level, make sure you’re in a good mood before trying and chew slowly. Sellers would also recommend that you don’t eat beforehand to feel the effects faster. Also, have something sweet nearby. The sugar will help normalize everything once you’ve decided you’ve had enough fun for the day. We stayed in 2 different areas while in Amsterdam. The first few days were spent in an Airbnb over at Hilversum and the last day was spent in ClinkNOORD hostel in central Amsterdam. Let me put this out right now: Rent and hotel prices in Amsterdam can be pretty darn steep. It’s the primary reason why we decided to stay in Hilversum in the first place. Amsterdam’s trains work like clockwork so it's easy to get home. That being said though, the train ride from Amsterdam Central still took us a good 30 minutes or so one way. So I’m not entirely sure if it was the best decision to stay in Hilversum, given the travel time and train ticket fees. I do have to say though that (1) our Airbnb rental was so charming and (2) Hilversum as a town of its own actually looks really impressive and interesting — it’s a shame we didn’t have enough time to go around really. Hostels are definitely the way to go if you want to save money on accommodations while still staying within the central area of Amsterdam. ClinkNoord was one of the coolest places we had ever seen. It's a hostel, a cafe, and a bar, all in one and its location was so convenient. It literally took us 5 minutes to walk from the ClinkNOORD hostel to the ferry station, and just another 10 minutes on the ferry itself. Did I mention that the ferries ran for 24 hours, and are absolutely FREE? So again, 24-hour ferry, 15 minute travel time, at no cost? YES PLEASE. 100% would recommend. Had we had more time in Amsterdam, we would’ve loved to go to the Keukenhof. Unfortunately, the weather just wasn’t cooperating while we were there. It rained almost every day, so we decided to explore and exhaust the city center instead. We were never really bored, now that I think of it. There were so many shops to venture into and so many alleyways to wander in — also, so many food choices to stuff our tummies with. 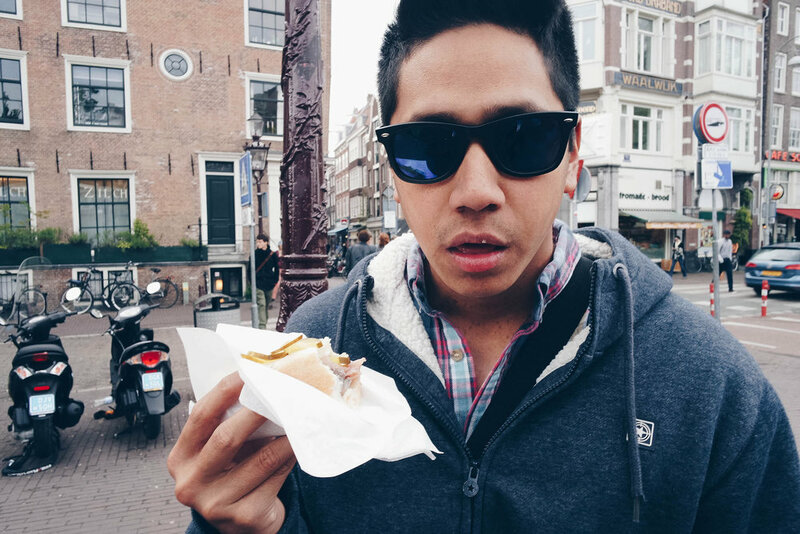 Never leave Amsterdam without a pack of their Stroopwafels, guys. The cheapest ones I found were in Hema at 1.75 Euros per pack. You're welcome.